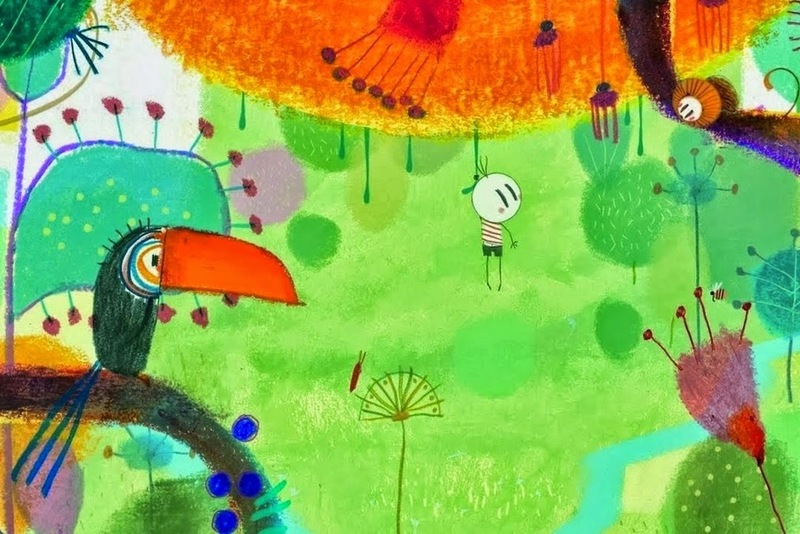 GKIDS has arranged to distribute Brazilian animator Alê Abreu's festival hit "Boy and the World." Now, that probably just opens up a whole passel of questions, so let's go through them one by one to show why this is significant. GKIDS ("Guerrilla Kids International Distribution Syndicate") is a New York-based distributor of animated films. It also runs the New York International Children's Film Festival. It has been distributing films since 2008. Alê Abreu is a Brazilian director and writer, known for "The Scarecrow" (1998), "Garoto Cósmico" (2007) and now "The Boy and the World" (2013). There is a lot of terrific animation being made overseas these days. What is "Boy and the World"? "Boy and the World" is the latest film from Alê Abreu, completed in 2013. The vibrant film is drawn using collages, watercolor paintings and drawings with crayons. Cuca, a rural kid, goes on a journey to find his father, who has gone to the big city for work, and has various adventures in various Brazilian cities that look at social issues from a fresh perspective. The film features voice actors Marco Aurélio Campos, Vinicius Garcia and Lu Horta and was produced by Filme de Papel. It has been screened at the Ottawa International Animation Festival (September 20 2013), the Chicgo Latino Film Festival (April 6 2014), the Seattle International Film Festival (May 24 2014), and the Provincetown International Film Festival (June 18 2014). "Boy and the World" received a general release in Brazil on January 17, 2014. In the US, it might in days gone by have been considered an "art house film." Why Should I Care About This Film? You may not care, nobody but you knows what interests you. You might, however, if you want to see some very intriguing animation that expands your mind a bit beyond Disney and "The Smurfs." "Boy and the World" reportedly is a fun, original animated film that is not the usual cookie-cutter animation product from the usual major studios. Also, GKIDS has an amazing track record with its feature film releases in terms of receiving Oscar nominations: four nominations over the past several years -- for the foreign titles "The Secret of Kells," "A Cat in Paris," "Chico and Rita" and "Ernest and Celestine." It is difficult enough for foreign films to break through with American audiences, but GKIDS has an eye for engaging films that virtually nobody in the US would see otherwise. The advantage that GKIDS has is that it can review the entire range of animated films made outside the US that domestic distributors don't consider and cherry-pick the very best ones for you to see. If you happen to like quirky animation films, you - like the Academy - might want to keep an eye out for this one. No word on when GKIDS will release the film in the United States. It may not even be this year. But it's coming.